Iceland takes part in the Eurovision Song Contest since the year of 1986. Indeed it’s a great opportunity for that small country with only 315.000 inhabitants to be represented all over Europe. There were many musical styles since 1986, but nothing has really convinced the European juries and TV spectators. Beside of the almost win in 1999 when Selma came second with “All out of Luck” in Jerusalem. 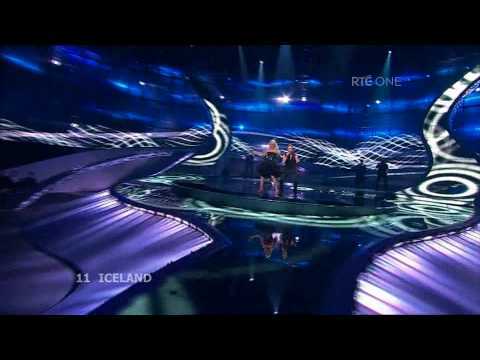 The most striking entry ever was also send by Iceland with Paul Oscar. “Minn hinsti dans” which only came 20th in Dublin 1997 woke up the nations with the first techno song at Eurovision. Paul Oscar is also going to be the composer of this years entry “This is my life”. You can clearly hear a strong beat accompanied by a catchy melody, similar to 1997. Even if there are very sympathetic singers with a danceable song it probably won’t convince this year. It sounds a bit too simple and bustling. Something is missing in this song, no climax not a big show either. It would be a miracle if Iceland will qualify for the final this year!